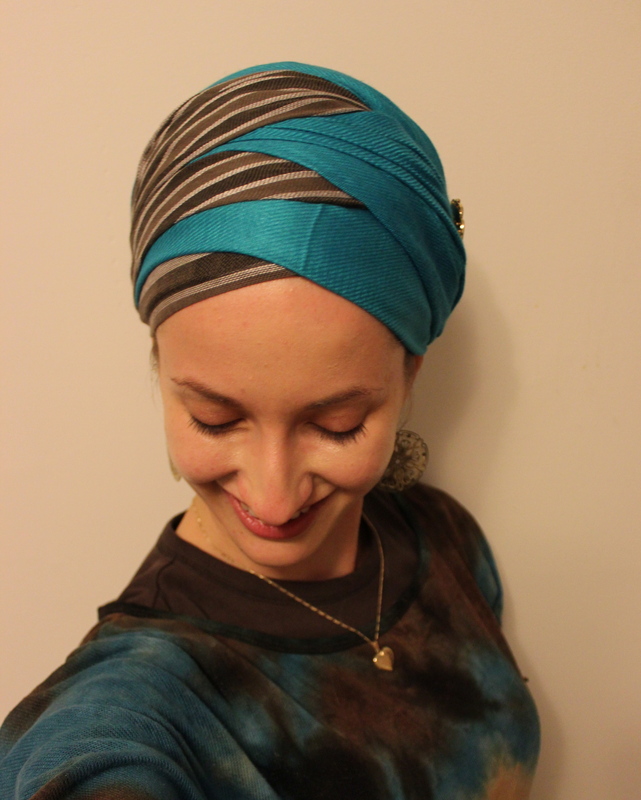 Lady Wrap Star – *Yael* ! I know, eh? Our first Lady Wrap Star on video! Yael is incredibly vibrant, warm, and honest. I’m sure y’all want to ask questions and hear more from her, so please tell us what you think in the comments section and Yael will do her best to respond! 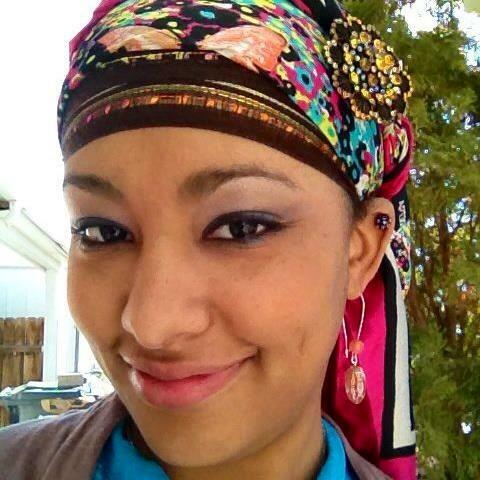 Our Latest Lady Wrap Star – Tiona! Hi Tiona! Can you tell us a little about yourself? What are you all about, some likes/dislikes, how do you choose to spend your time? Yes. Hi my name is Tiona Reed, I am a mother of four blessings and married to my wonderful husband Roderick Reed. I run my own bakery and absolutely love baking and decorating cakes. There is a fulfillment there when I see the smile on someones face because Ive added to their life memories. I spend all of my time raising my children in the most positive way I know how. I have also started the process of volunteering at the local hospitals cancer center to teach women how to cover their heads in a way to still remain confident. Personal experience has taught me that if a woman still remains confident and positive about the way she looks, her recovery is quickened or her last days are brighter. My husband is currently serving in Afghanistan so all of this is a great responsibility at the present time but I have strong and loving mishpucha helping me through. 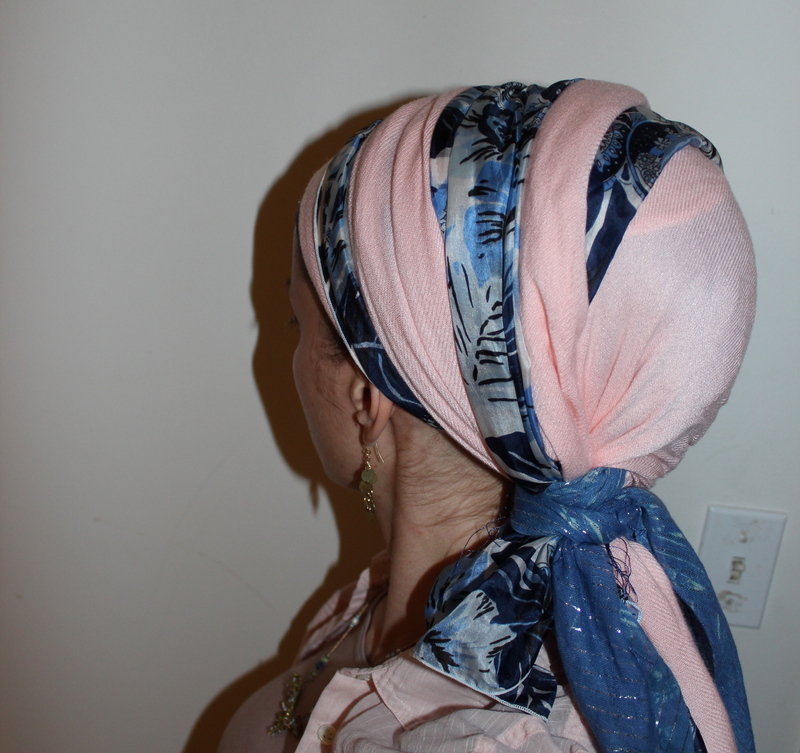 How long have you been covering your hair? Can you tell us a bit about why you cover your hair and the process leading to this life decision? 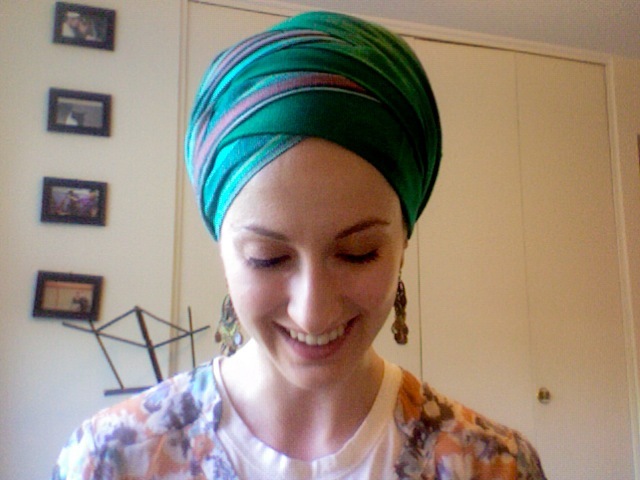 I have not been covering my hair for very long, but I find the journey very rewarding. 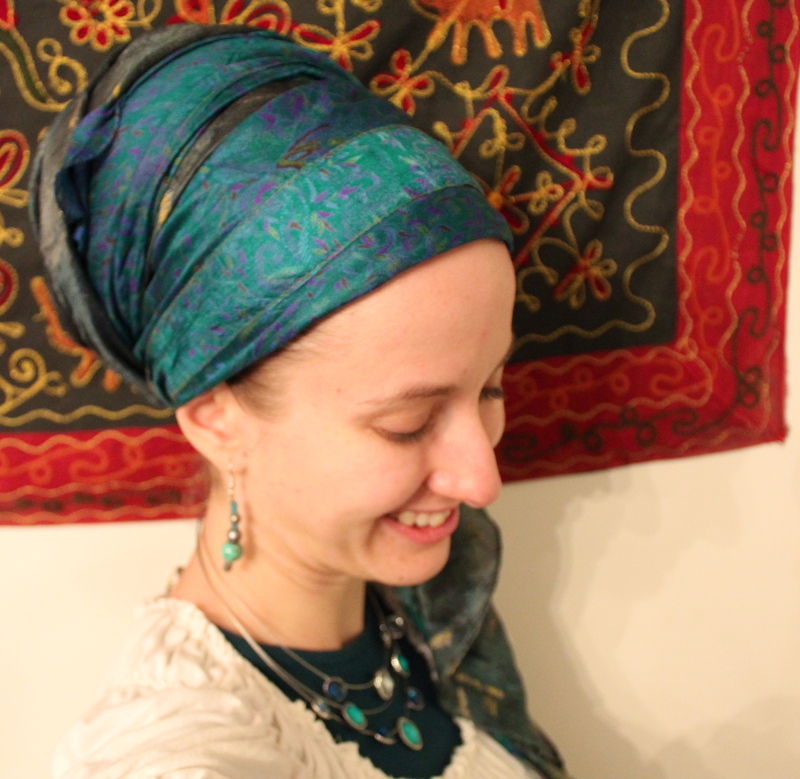 Becoming more modest had been my conviction for quite some time so when I decided to hold myself accountable and learn what it meant to be modest and cover my hair, I felt like I had accomplished something that would bring more clarity to my life focus. There were a lot of distractions regarding how I looked, in particular my hair. I use to be a hair model when I lived in Atlanta and that seemed to be the focus of my life. Funny story, when I met my husband, I actually missed a hair show I was suppose to be in because I was with him!! Anyways, I later felt there was too much focus on my hair and not enough on what was important, which is self and others. I slowly but surely began to wrap my hair and I have seen how it has transformed my life and the life of the people around me! What is your favourite way to cover? Favourite colour and why? My favorite way to cover are snoods!! I am a busy mom, so a snood is fast and easy!! Sometimes I dress it up and put layers underneath, but throw on and go fits my lifestyle. I like to save all the other fun wraps and scarves for Shabbos. Then I get to experiment and play with colors and textures. Just another way I set the day apart. My favorite color would have to be blue. All shades of blue just make me happy. It has a calming affect to me. It’s also a great canvas to add different textures and patterns to. 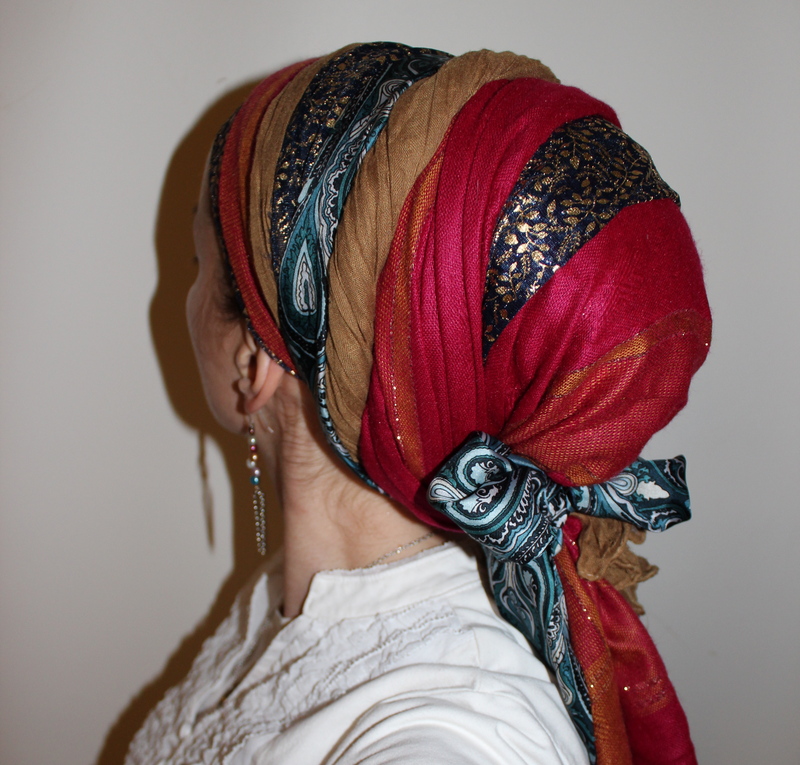 Do people ever ask you about your hair coverings? What do you say to them? 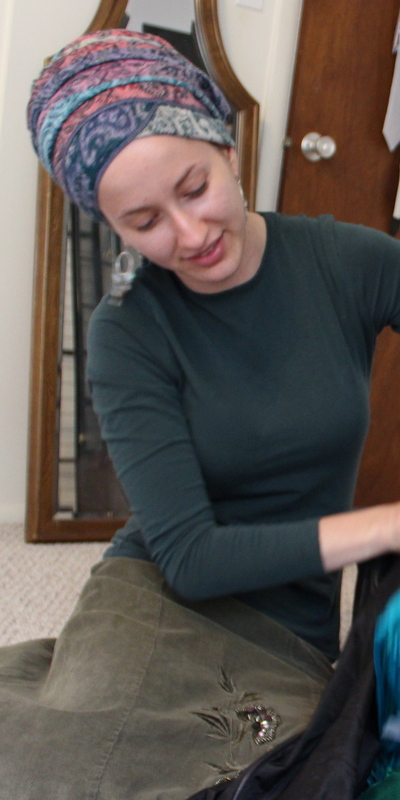 A memorable hair wrapping experience you would like to share? I don’t really get asked much about my hair coverings as much as I get complimented. There is always a look of curiosity, but not much in the way of conversation, other then a thank you response. 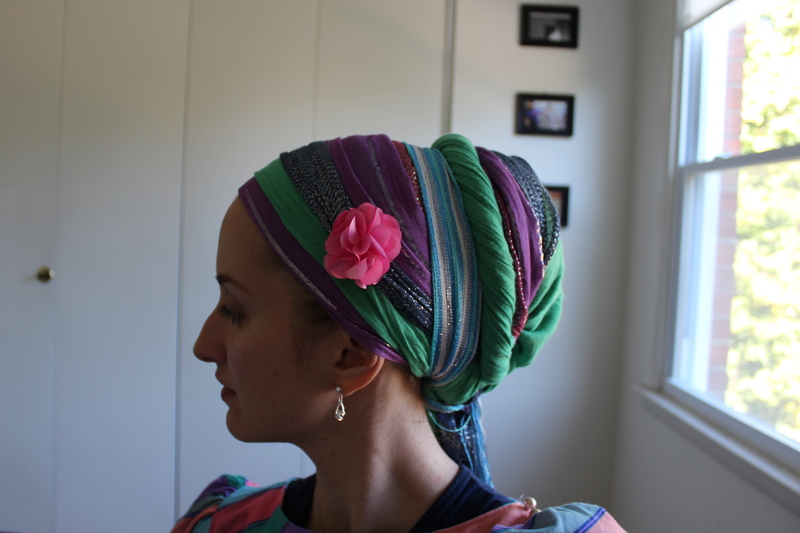 My most memorable hair wrapping experience would have to be when I was in Israel and some of the ladies asked me to cover their heads when we were expected to be in areas where it was required. It was such an honor that they were standing, waiting their turns to be wrapped and they absolutely loved it! Some to this day have continued to wrap their hair even upon returning home. Any scarf wrapping tips you would like to share with the Wrapunzel ladies? What are you grateful today? Oh my, tips from me!! I would love to learn more tips from everyone else. The only thing I can think to contribute is to always walk away from the mirror feeling inspired and confident. 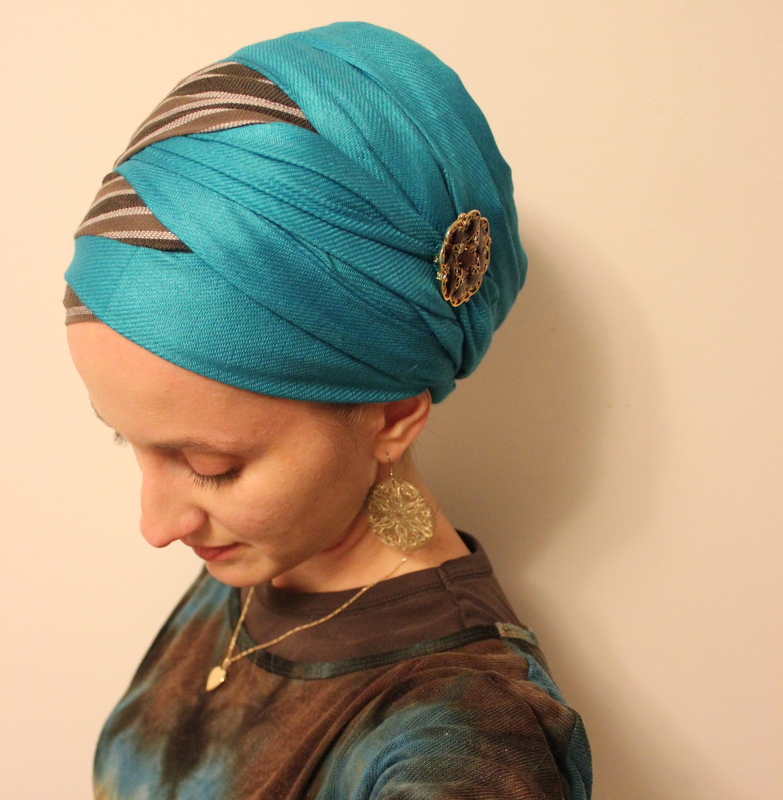 This light is important for others who need the encouragement to cover their hair and still feel empowered. I am grateful for my family and the opportunities that have been placed before me. My life has truly been blessed and I only pray that I have been that same blessing to others. And thank YOU Tiona! Thanks for reading everyone – let us know your thoughts in the comments section! Skirt = Headwrap?! Believe it! So… you all know Rivka Malka Perlman, right? If you haven’t heard of her, run (don’t walk!) to her website right now. This woman is one of my greatest inspirations, and I am proud to say, now also a close friend. ANYWAY – she recently gave me a stunning teal wrap skirt, and I had been itching to wear it, so I decided to save it for a special occasion. Last Shabbat seemed like the perfect opportunity. But then the weather was FREEZING! Much too cold to wear such a fluttery skirt. I thought the skirt may have to stay in my closet and wait until the spring. 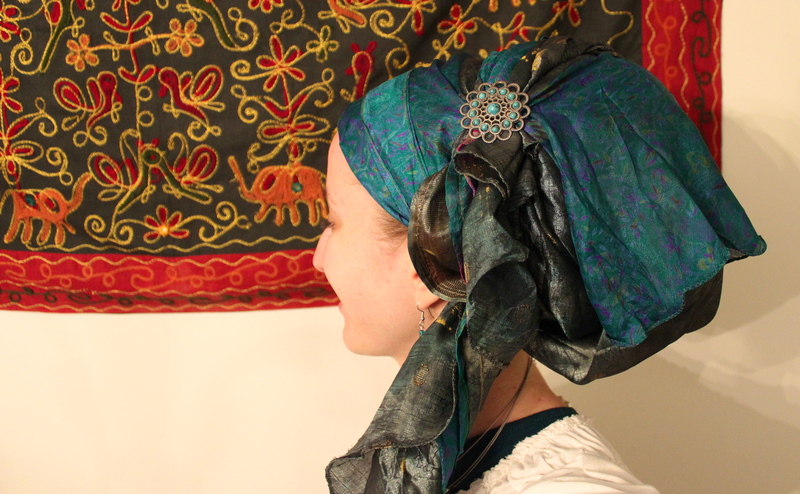 But Shabbat is a time of miracles, so I had an idea and did what any proud head scarf wrapper would do; I turned it into a tichel! And it subsequently became one of the most beautiful tichels I have ever tied! I know. And all this was done without damaging the skirt – so it can be worn both ways. Maybe Rivka Malka and I should start marketing skirts as tichels! Who wants a tutorial?? Wrapunzel Ladies do the “Zig-Zag Criss-Cross”! This is Naomi. When this photo was taken she wasn’t yet covering her hair publicly. I have to mention that over Shabbat I met a woman for the first time lo and behold she was rocking the zig-zag criss-cross! What a treat and a bit of a surreal too! I am so proud of you all! Thank you everyone for your submissions and keep up the awesome work! (And yes, you can still send in photos and I will add them to this post.) Yay wrapping sisterhood solidarity! I have been experimenting lately with combining many textures and colours with lots of layers and twists. It’s the kind of fun that I highly recommend trying out! And in pastel salmon, blue and white! I am loving this look, and find that it really stays put all day (of course, you have to be wearing the proper equipment underneath). What do you think of it? Wow! Thanks for your lovely encouragement and how-to requests from my last post! Without further ado, here is your tutorial on how to do this stunning wrap! I often get asked, “Do you ever get bored? Do you ever run out of new ways to tie your scarves?” The answer is, gratefully, “nope!” Even if I owned 10 scarves (believe me, I have quite a few more than that! ), there would still be an infinite amount of tying options. So here is a new style that I came up with yesterday! It is surprisingly easy. Who wants a tutorial?